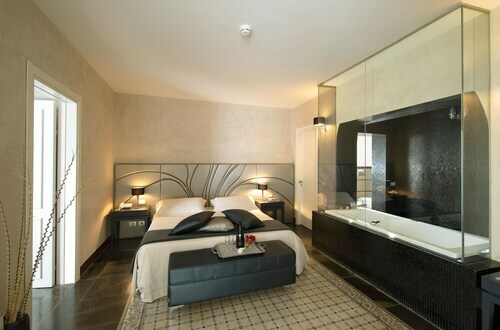 Situated in the historical district, this hotel is steps away from Dome of Saint George and Palazzo La Rocca. Chiesa di San Giuseppe and Old Portale di San Giorgio are also within 10 minutes. 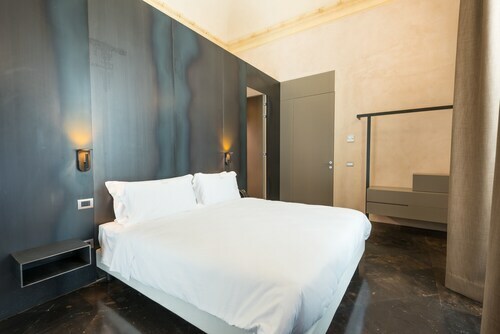 Situated in Ragusa, this hotel is steps away from Iblean Archaeological Museum and Museo Archeologico Regionale Ibleo. Cathedral of San Giovanni Battista and Cathedral of St. John the Baptist are also within 5 minutes. Ragusa Station is 8 minutes by foot. This family-friendly Ragusa hotel is steps away from Cathedral of San Giovanni Battista and Cathedral of St. John the Baptist. Iblean Archaeological Museum and Museo Archeologico Regionale Ibleo are also within 10 minutes. Ragusa Station is 12 minutes by foot. Situated in the city centre, this bed & breakfast is close to Palazzo La Rocca, Dome of Saint George and Palazzo Sortino-Trono. Also nearby are Church del Purgatorio and Church of Santa Maria dell'Itria. 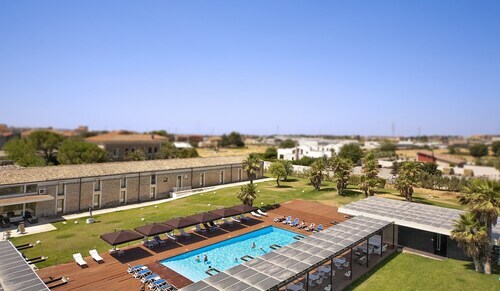 Located in a regional park, this family-friendly hotel is within 6 mi (10 km) of Archeological Park of Kamarina, Castle of Donnafugata, and Scoglitti Marina. Via del Mare and Marina di Ragusa Beach are also within 9 miles (15 km). 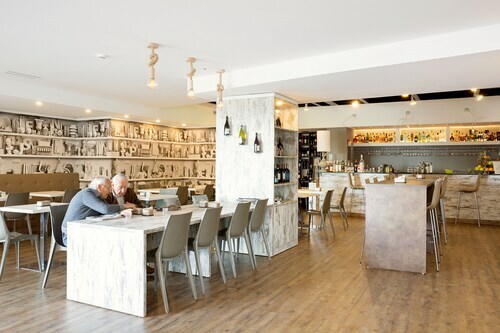 Located near the beach, this family-friendly hotel is within 9 mi (15 km) of Museo Archeologico Regionale Ibleo, Via del Mare and Iblean Archaeological Museum. Cathedral of St. John the Baptist and Cathedral of San Giovanni Battista are also within 9 miles (15 km). So, you're thinking about a holiday to Ragusa? If you want to find accommodation that's located near the sights, you can enter your holiday dates and then use the filters beside your hotel search results to find a hotel near the area's attractions. 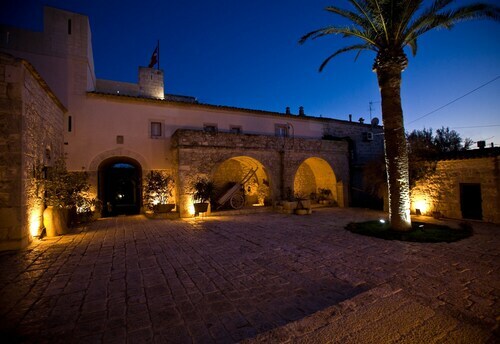 You can choose among 187 Ragusa hotels and accommodation choices to find a place to stay. 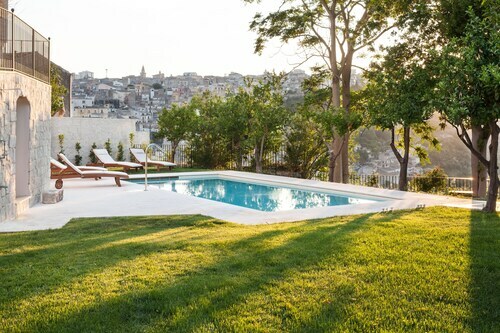 When you're deciding where you want to stay in Ragusa, you can easily and quickly search ebookers for hotels offering services such as high-speed Internet, a swimming pool or free airport transport. You can use the filters to narrow down your search for a hotel, so you get the services that are important to you, such as an in-room kitchen or air conditioning. When arranging your Ragusa getaway, you can also use ebookers to look for a convenient flight to Comiso (CIY-Vincenzo Magliocco) Airport. You can narrow down your search by number of stops, airline or departure time to find the one that works best for you. When is the Best Time to Explore Ragusa? 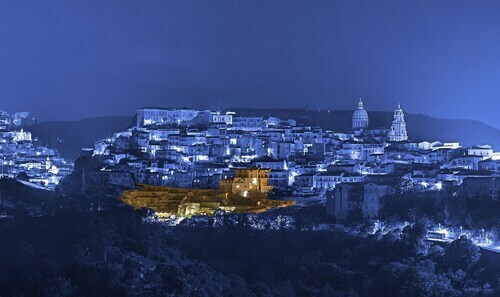 If you're wondering when is the best time of year to visit Ragusa, you might find this info about seasonal weather helpful when planning your trip. The warmest months in Ragusa are typically July and August, whereas the coldest months are usually February and January. The months with the most rain are August and February, whereas September and April have the least. From January to March, the average daytime temperature is 18°C and at night it is 10°C. Seasonal average rainfall is 8 mm. If you visit between April and June, you can expect an average temp of 29°C during the day and 11°C at night. Average rainfall during this season is 2 mm. The daytime average temp from July to September is 30°C and the nighttime average is 20°C. Average precipitation for this season is 4 mm. Between October and December, the average temp during the day is 26°C and 11°C at night. Seasonal average rain is 8 mm. The average annual rainfall in Ragusa is 22 mm. Difficult to Go to the Rooms with the baggage, a lot of staircase. Brilliant views from roof terrace and hotel in good position. Excellent shower and comfortable bed. Alessander very helpful. 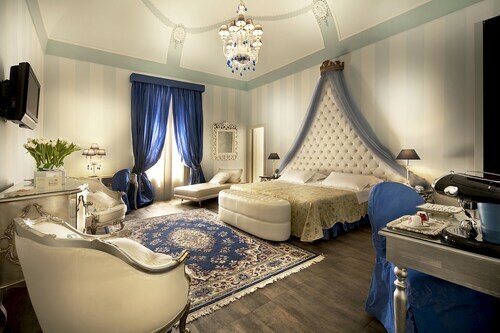 Room really basic - white walls & no form of decoration (pictures, mirrors etc) or style whatsoever unlike those shown. Window was tiny & very high - we had to move a table & climb on it to look out. Felt like a cell. The pool was really dirty more like a pond & much smaller than appear in these photo’s - very clever photography. Lovely hotel, well positioned for many places Staff were excellent. Our only criticism was that there was not enough storage in our room. Plenty of room but only one small wardrobe-- no drawers or cupboards. Leider wurden wir zwei Tage vor Ankunft darüber informiert, dass man uns von den gebuchten und bestätigten vier Nächten nur die erste und die letzte beherbergen könne. Man habe uns aber in Ragusa ein Stadthotel organisiert. Die Direktion hat sich ja schon bemüht, aber wenn man im Eremo logieren möchte, will man eigentlich nicht in ein Stadthotel. War ein ziemlicher Stimmungskiller in an und für sich schönen Ferien. Sehr schöne Anlage. Strand etwas entfernt, nur Liegestühle. Sehr sichere Lage, Gartenterrasse mit Hecken umgeben. Ist auch ideal für Familie mit Kindern. Küche gut eingerichtet. Komfortable Räume. Wunderbarer Sandstrand, ideal im Herbst. Gute Einkaufsmöglichkeiten. 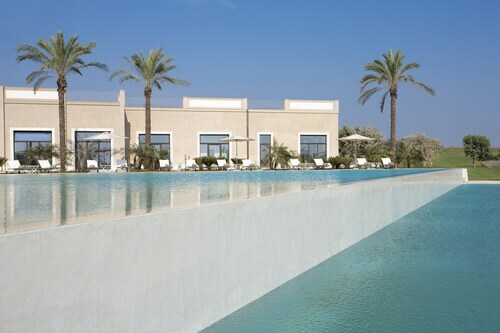 The hotel is beautiful in a clean, simple, modern lines kind of way, imaginatively integrated into the slope of houses on Ragusa Ibla's western side. Parking was safe and easy on the road below. We were upgraded - to our surprise - to a suite which had its own terrace. 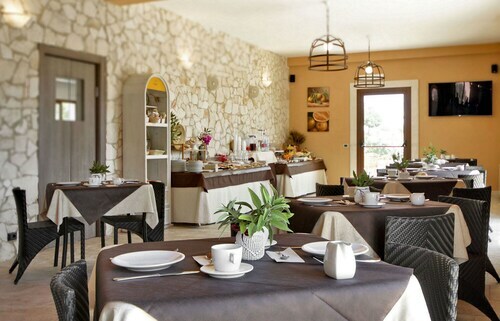 The staff were friendly and helpful, and the breakfast buffet was fantastic. L'hôtel à un défaut, il est décentré. Sinon, le personnel est chaleureux, sympathique. Le bâtiment magnifique, belle harmonie entre le moderne et un style plus ancien. Calme la nuit, les chambres sont sobres et belles. Au réveil un excellent petit déjeuner nous est servi dans un cadre religieux en phase avec le pays qui nous reçoit.